Bookmarks: Preamble, CVS Note, Building: zlib, pthreads, openal, freeglut, plib, simgear, flightgear, and running flightgear, downloads. If you can read it, you can see my system was maintaining a frame rate of 37 frames per second at the time of the screen shot. I have seen numbers of over 80 frames per second. 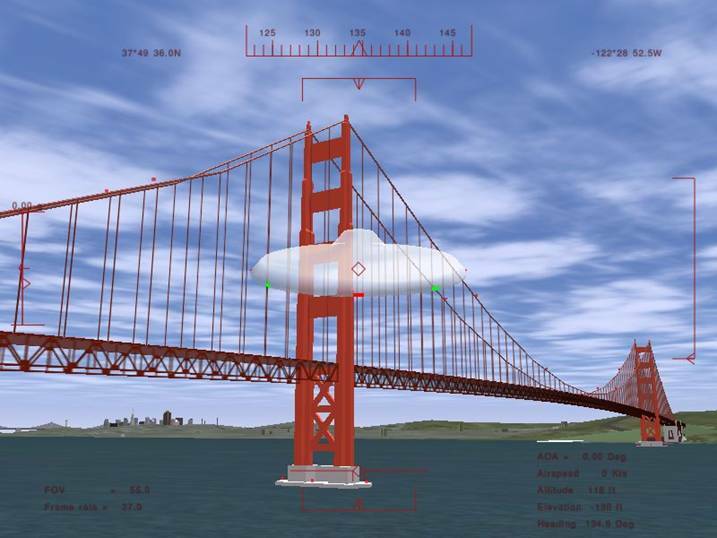 This is a build of FlightGear and its dependant components using Microsoft Visual C++ Express 2005 (MSVC8), in a Windows XP SP2 machine. Downloaded zlib-1.2.3.tar.gz (496,597 bytes) from http://www.zlib.net/, and unpacked the files into zlib-1.2.3, the default path in the 'tar' file ... It comes with a MSVC8 solution file - F:\FG0910-4\zlib-1.2.3\contrib\vstudio\vc8\zlibvc.sln - so loaded this into MSVC8. Since, for FlightGear I only actually need the 'static' library, that is zlibstat, I 'unloaded' the other 5 projects, but I probably could have just 'unchecked' them in the build manager. I am a bit shocked by the 'Additional Include Paths' pointing to masmx86, although there is a configuration 'ReleaseWithoutAsm', but in compiling the Debug and Release builds, there seems to be no ASM step? Note this item is OPTIONAL. SimGear and FlightGear can be compiled without the switch ENABLE_THREADS, and then this DLL is NOT required. The CVS source is available. I use a command line version of cvs, but this site offers WinCVS links, should you choose that. They offer the intitial 'checkout' information, which I shall not repeat here, since this may change. After the initial 'checkout', a quick 'cvs up -dP' updates the source, but have not seen many changes in the last many months. pthreads does not have a MSVC8 solution file, but it does have a pthreads.DSW, a MSVC6 file which MSVC8 can load and convert ... there is only one project, and it is a Dynamic Link Library ... I find that the runtime libraries are set to Multi-Threaded DLL (/MD and /MDd) ... I change this to the runtime of my choice, /MT and /MTd respectively, but this is perhaps not so important for a DLL project. mt.exe: Command Line error c1010007:Unexpected/Unknown argument "/notify_update"
mt.exe exited with error - Invalid / Missing command-line arguments. 'c:\Program Files\Microsoft Visual Studio 8\VC\bin\mt.exe'. This SOUND library consists of two(2) parts - (1) OpenAL itself and (2) ALUT, and both are implemented as DLLs. The source download can be via SVN, which I use, but they also have a Windows Installer version to download and install the DLLs directly into your machine, and an OpenAL SDK to get the headers and sources ... Since I have never tried these latter options, I can not comment on what you get. .\OpenAL32.rc(10) : fatal error RC1015: cannot open include file 'afxres.h'. Although alut is a DLL project, I note the alut Property Pages -> C/C++ -> Code Generation -> Runtime Library is set to 'Multi-threaded [Debug] DLL (/MD[d]), and is my habit, I amend this to /MT[d] ... for all three projects, for each configuration - Debug and Release. I have yet to explore whether this is IMPORTANT in a DLL context, but to be consistent and SURE, I always make this change. mt.exe:Command Line error c1010007:Unexpected/Unknown argument "/notify_update"
I was hoping to avoid using this, but it seems the GL folder containing glut.h is no longer shipped as part of the Microsoft SDK - Microsoft Platform SDK for Windows Server 2003 R2 - It was include with MSVC7 and earlier version. Checking the runtime library it defaults to what I want, /MT[d], but as with all 'converted' projects it is necessary to add ' _CRT_SECURE_NO_DEPRECATE' to the preprocessor definitions unles you want the UGLY 'depreciation' warning to be emitted. 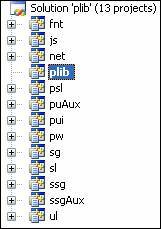 Else it will use the windows shared (DLL) library. To avoid the UGLY MSVC8 'depreciation' you must select each of the 12 static library projects, and add the _CRT_SECURE_NO_DEPRECATE to Property Pages -> C/C++ -> Preprocessor -> Preprocessor Definitions, after a ';' separation character, for both the Debug and Release configurations. I keep 'threatening' myself that I should write say a Perl script to effect this change, since it happens every time there is a conversion from MSVC6! The compile yields a few warnings, which I ignore, but also a few ERRORS, which must be fixed. had already been 'fixed' under an #ifdef UL_BB switch. I had once before TRIED to find a 'fix' for this compile problem, and this time, like that time, COULD NOT FIND A SOLUTION! In establishing the simgear folder, in F:\FG0910-4, I remember to drop one of the folders names. The cvs of simgear updates into simgear\source, which I XCOPY into just simgear. SimGear now had a MSVC8 solution file, in F:\FG0910-4\simgear\projects\VC8\SimGear.sln which I load into MSVC8. i. ../.. - This is a relative reference to F:\FG0910-4\simgear, so looks ok.
ii. ../../.. - This is a relative reference to F:\FG0910-4, so look ok for PLIB items. iii. ../../Simgear - This is a local internal reference, and looks ok.
vi. ../../../Pre-built.2/include - Since I am NOT using pthreads, this can be removed. basically around the whole file. Yes, I could have excluded SGThread.cxx from the build, but at the time this seemed an 'easier' alternative that would allow me to simply add a define of ENABLE_THREADS and I could quickly re-compile it using pthreads. In this case I am NOT using 'pthreads' so remove 'ENABLE_THREADS', and I note the 'FREEGLUT_STATIC' has been included. I also remove the 'PTW32_STATIC_LIB', since I am not sure what this does exactly - assume builds static library - but it is only used in the pthread source which I am excluding here. (v). "../../../Pre-Built.2/lib" - This represents pthreads, not being used. Removed. * Note this use of $(IntDir) means we can have the same string for both Debug and Release. (i) ../../../ - This allow includes like <PLIB\ul.h> - ok.
(ii) ../../../Simgear - This allows includes like <simgear\debug\logstream.hxx> - ok.
(iii) ../../src - This allows include like <model\modelmgr.hxx> - ok.
(v) ../../../zlib-1.2.3 - Tis is for <zlib.h> - ok.
(vi) ../../../freeglut-2.4.0/include - This is for freeglut, and I must change this to ..\..\..\freeglut\include. (v) ../../../Pre-built.2/include - This is for pthreads, not being used. Removed. (vi) ../../src/include - This is for <config.h> - ok.
(vii) ../../src/input - This is for <input.hxx> - ok.
(viii) ../../src/FDM/JSBSim - This is for <JSBSim.hxx> - ok. Shared libraries (DLL) can be installed in several ways. They can be copied to the folder from which the applications is being run. This makes them available for ONLY that application, and it must be done this way if there is any conflict of names. @echo       already EXIST in %TEMPDD% folder! @echo WARNING %TEMPD% already EXISTS! h - Cycle through the colours for the HUD. The default green is hard to read against certain backgrounds. shift-I - Change to the mini-hud, which has the frame rate shown. F10 - Toggle the menu off and on. v - Cycle through a set of views. F3 - Capture screen to fgfs-screen-?? ?.ppm file. ]/[ - Extend/Retract Flaps. In the UFO this also set the maximum speed! ,/./b - Left, Right and All Brakes. In the UFO, applying a brake reverses direction! More can be read in the data\Docs\FGShortRef.html that is downloaded with the standard data. EOF - fgfs-b001.htm - Commenced Sunday, 23 July 2006 - Ended 27 July 2006.